This is how we traveled from the train station to our hotel. The half hour ride afforded us an up close and personal view of the city that was beyond spectacular! 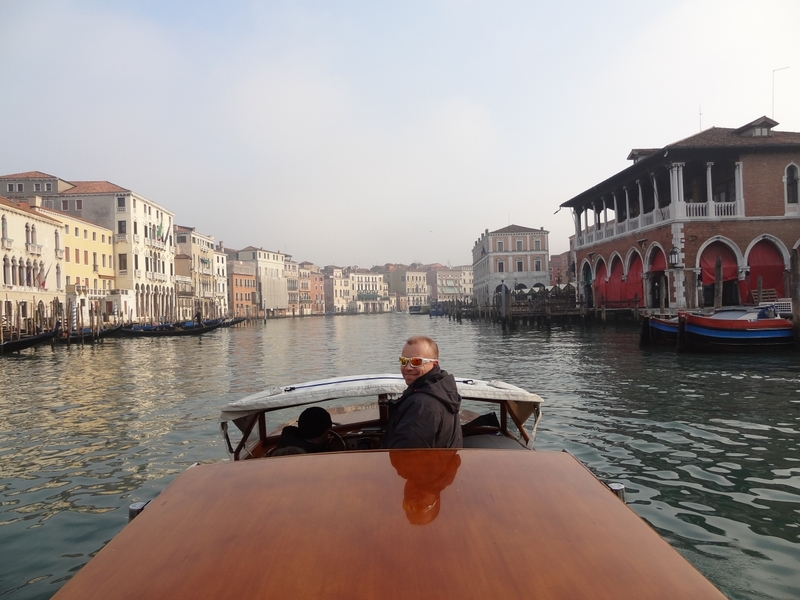 Though a bit pricier than the vaporetto or water bus, it was well worth the expense–and a lot more convenient considering that we were hauling our luggage along with us. 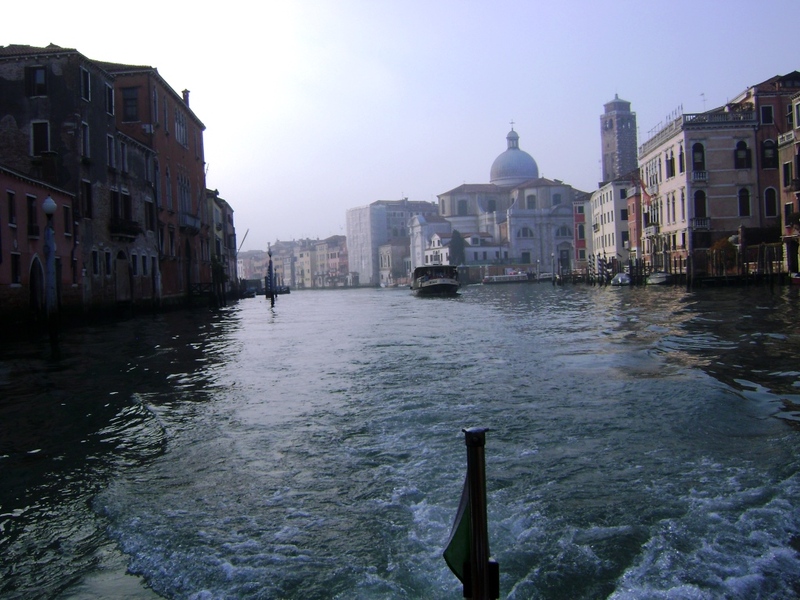 Surrounded by Italy, it is the oldest surviving sovereign state and constitutional republic in the world. 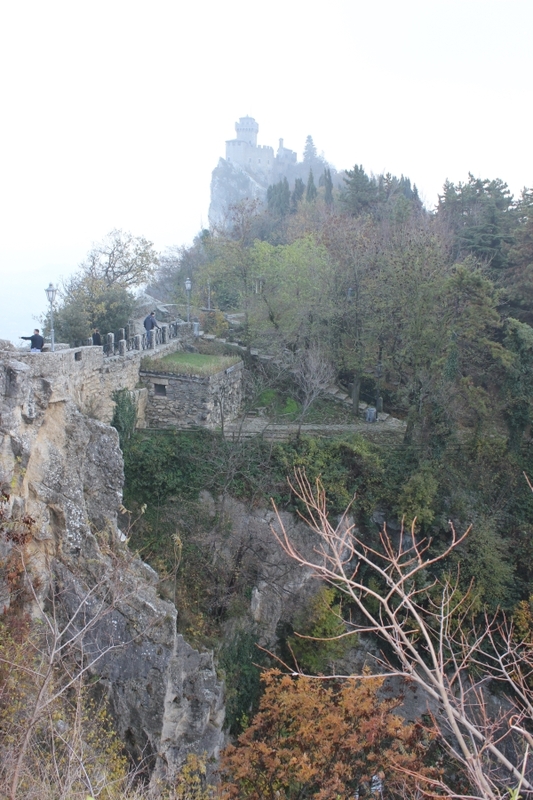 The town of San Marino is situated 700 meters above sea level on Mt. Titano and has no natural level ground. We walked uphill and climbed tons of stairs as we trekked to the peak of the mountain. What an incredible view! I am amazed–and worn out–just thinking about how difficult if must have been for the original inhabitants to hack and hew their way through all of that rock! Climbing the tower gave me one of the most unusual sensations I have ever experienced. Even as we climbed upward, there were times when we almost felt as if we were going downhill. 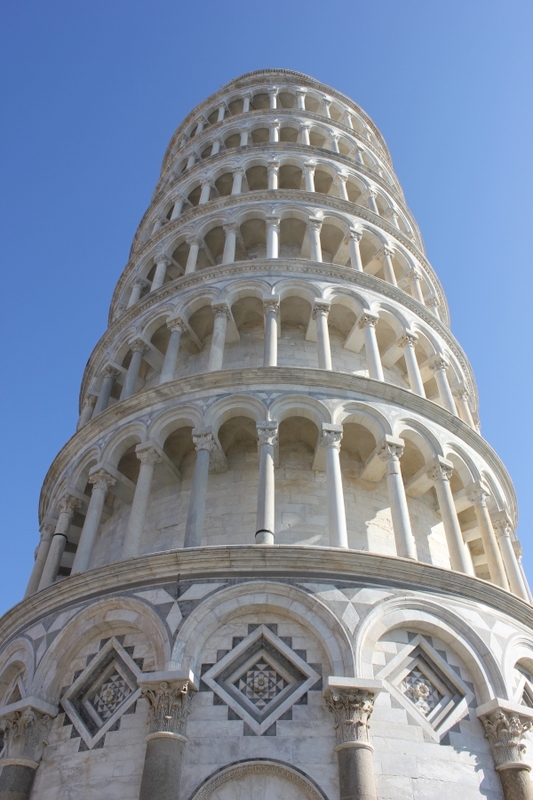 This was due to the combination of the spiral staircase and the tower’s lean. The marble steps are worn smooth and slick from years of traffic and most are noticeably concave in the center. I was awestruck by the beauty and brightness of the tower as it glistened in the sunlight . Photographs do not do it justice! 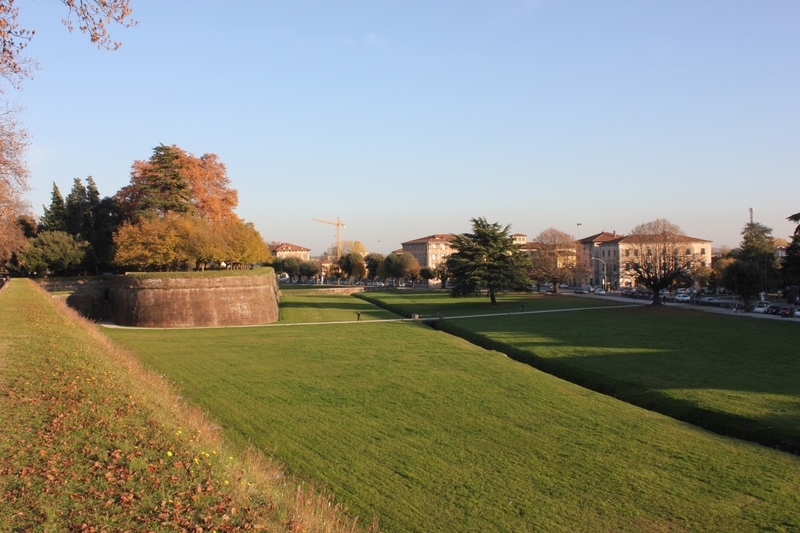 Lucca is famous for its fully intact Renaissance-era city walls. No longer necessary for defense purposes, the walls have become a pedestrian promenade. What makes that particularly unusual and interesting is the fact that there is a 40-foot drop from the top of the wall to the ground outside the city–and no railing. People walk, jog, and bike along the path. At one time they also raced cars around the top of the wall! Lucca is a place I would like to return to–and live in for a month, or even an entire summer. Serene and beautiful. 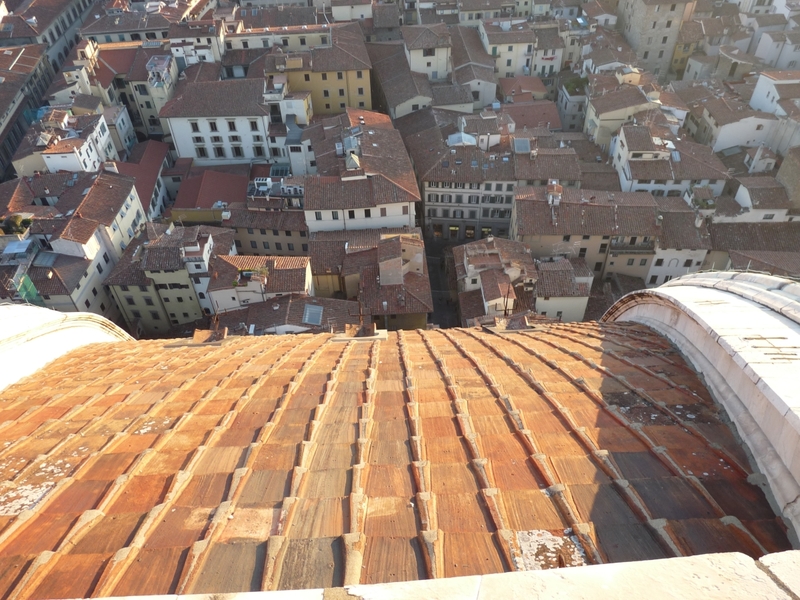 It is a matter of some dispute as to exactly how many steps there are along the way to the Duomo’s rooftop lantern–and, admittedly, I did not count. I will say that the generally accepted 463 seems about right to me. While the trek up the stairs may be arduous, the scenery along the way and from the top is well worth the effort! We passed within feet of the unbelievable fresco painted on the ceiling of the dome (The Last Judgment), crept along a narrow catwalk roughly two hundred feet above the floor of the cathedral, and eventually emerged to stand at the tiptop of the Duomo where we were treated to a breathtaking panoramic view of Florence. As an added bonus, the bells in Giotto’s Campanile began to ring just as we finished our climb and stepped out into the afternoon sunshine!